Exploring Fruit is a series where I explore what fruit has to offer the world in terms of design, in addition to the snacking aspect that I usually highlight. If you could see me right now you would find me a little giddy and my eyes wide open and sparkly. Stars! Just look at those pictures. Who knew fruit was so cool? So. Cool. The series has just begun. 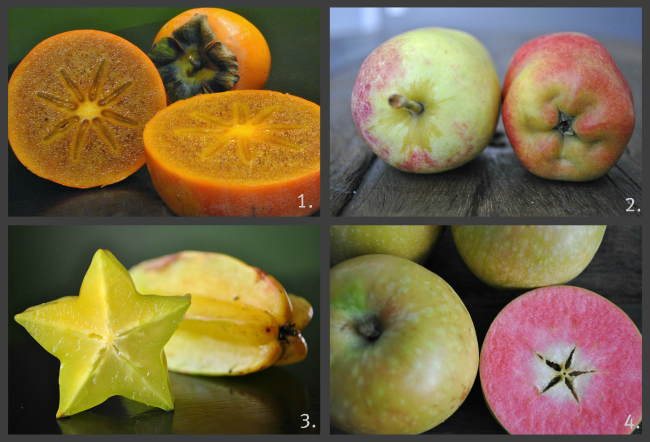 If you want to explore more click this link for a previous entry on fruit color. More in texture, pattern, and shapes are on the way.